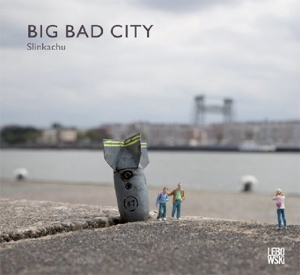 London street artist Slinkachu has caused a stir in urban art with his photographs of little people meticulously made and posed miniature figures inhabiting a familiar but outsized urban terrain. Big Bad City is a new edition of the original 2008 book capturing this phenomenon; previously published images are joined by more little people photographed in Amsterdam and Rotterdam. Curious but never quaint, Slinkachus tiny friends are left to fend for themselves in the city, confusing and delighting those who come across them especially when discovered in the grisly but hilarious situations of pieces like Office Politics, Pinned Down and Bad First Date. London street artist Slinkachu has caused a stir in urban art with his photographs of little people meticulously made and posed miniature figures inhabiting a familiar but outsized urban terrain. 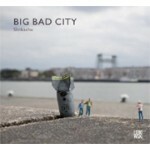 Big Bad City is a new edition of the original 2008 book capturing this phenomenon; previously published images are joined by more little people photographed in Amsterdam and Rotterdam. Curious but never quaint, Slinkachus tiny friends are left to fend for themselves in the city, confusing and delighting those who come across them especially when discovered in the grisly but hilarious situations of pieces like Office Politics, Pinned Down and Bad First Date.